The Junior League of Washington (JLW) makes a difference in the community through financial and volunteer support of literacy-focused programs, contests, and scholarship opportunities. JLW awards annually the Meg Graham Scholarship…Celebrating Service and Leadership. This volunteer service award was established in 1982 in honor of the late Reverend Margaret M. Graham, a former member of the Junior League of Washington and former President of the Association of Junior Leagues International. 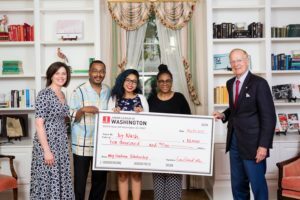 The scholarship is available to graduating seniors living in DC, attending a DC public, private, parochial or charter school and matriculating to an accredited four-year college or university. The scholarship rewards a student who has demonstrated outstanding voluntarism with funds for college education expenses. Applications for the 2019 Scholarship are due March 1, 2019 and can be found here. For additional details or questions, please email scholarship@jlw.org. Since 2000, JLW has hosted a poetry contest for DC students to encourage and support literacy. The contest is open to DC public and charter school students in grades 4 through 8. Please find more information about the 2019 contest here. Poems are due Friday, March 22, 2019. Winners are selected from each grade. For additional details, please email poetrycontest@jlw.org. The contest features literacy-focused prizes and the opportunity for students to read their poems aloud to a JLW audience. 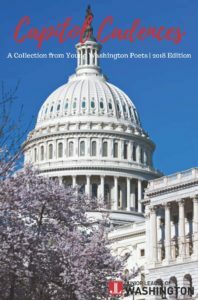 Click here for the winning poems from the 2018 Poetry Contest.